Matsu, which in Japanese means “wait”, pays homage to all the wine-producers that have been working vineyards for generations and devoted their effort, knowledge, respect and sacrifice. The images of the real-life wine-producers that decorate the bottle also represent the essence of each of the wines comprising this unique collection of three bottles of Spanish red wine. The D. O. Toro is an area with excellent conditions. A dry climate with extreme temperatures, sandy soils and centenarian vines provide a unique grape, mainly from the Tinta de Toro variety, that gives wine a great personality. 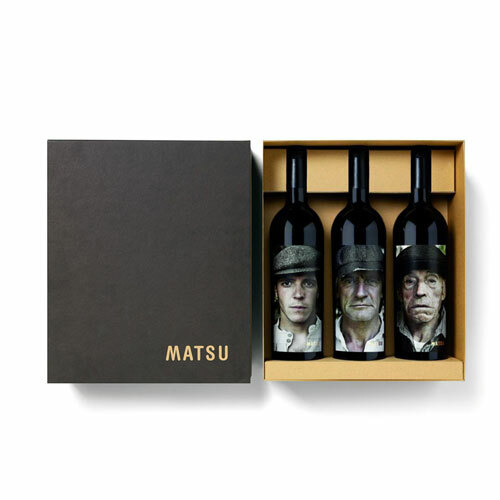 Matsu has been able to preserve the traditional strength of wines from the Designation of Origin Toro and provide a full-bodied smoothness. One of the keys to this wine is the selection of centenary vineyards - many of them pre-phylioxera- with a very low yield. 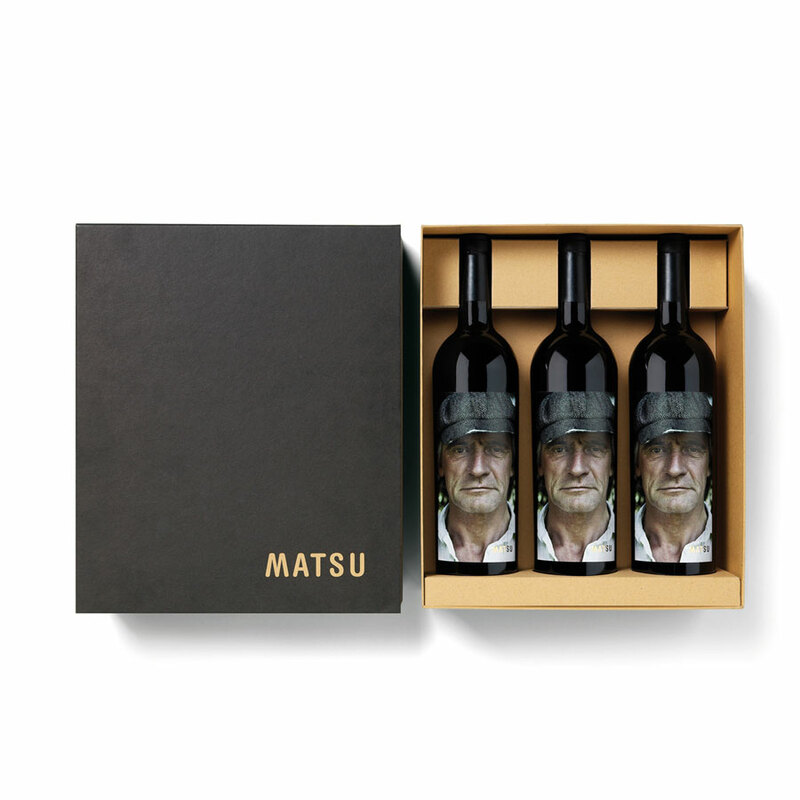 Matsu grows these vineyards in a totally natural way following the principles of biodynamic agriculture. This Spanish wine gift trio is sure to make an impression: once when the unique bottle designs are first seen, and again when the seductive red wine is enjoyed. Smooth-textured and very modern, with just a touch of oak, it comes at you in an unfettered rush of squishy mulberries with the gentlest tinge of cloves. Easy-peasy drinking. Intense and opaque, this wine is a mass of deep black fruit, chocolate, roasted coffee bean and vanilla pod aromas. Voluptuous and weighty, with a firm structure, held together by silky tannins. The wine is immensely powerful and complex, offering cigar box, lavender and graphite nuances against a backdrop of dense cherry and bramble fruit.